Public justice experts Stephanie Summers and Katie Thompson will discuss “Why Escaping Poverty Requires a Shared Vision of Justice” at the School of Public Policy Davenport Discussion roundtable seminar at Drescher Graduate Campus in Malibu on Monday, November 7, at 12 noon. Summers is the CEO of the Center for Public Justice, an independent, non-partisan civic education and public policy organization based in Washington, D.C. A frequent college speaker, Summers helps students and faculty discover the implications of public justice in varied public policy frameworks. Thompson is the editor of Shared Justice, an online journal for millennials published by the Center for Public Justice. A 2012 graduate of Gordon College in Wenham, Massachusetts, Thompson was the editor-in-chief of the college newspaper during her senior year and served as a Fellow with the Gordon College News Service. 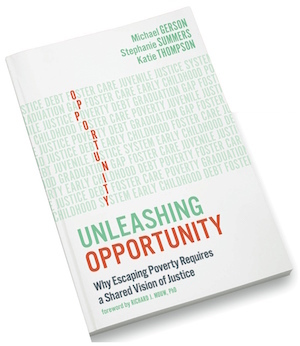 In their book Unleashing Opportunity: Why Escaping Poverty Requires a Shared Vision of Justice, coauthored by The Washington Post columnist Michael Gerson, Summers and Thompson explore five key issues that are taking a disproportionate and devastating toll on low-income Americans.